"Life's a dream. In a dream you can't make mistakes." Malick is a master of utilizing voiceover, and with his latest film, he relies almost solely on voiceover to tell the story. The film follows Marina (Olga Kurylenko) a woman living with her ten year old daughter, Tatiana, in France. 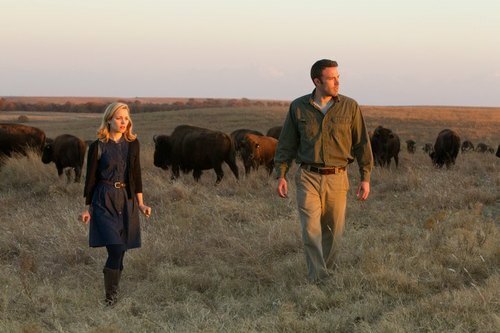 Here she meets a tourist named Neil (Ben Affleck) and the two begin a love affair that culminates in Neil asking Marina & Tatiana to move back with him to Oklahoma. While in the US, Neil works as an environmental inspector, and Marina and her daughter grow restless. Eventually they return to France, where Tatiana decides to go live with her father, leaving Marina despondent & alone. In their absence, Neil begins another relationship with Jane (Rachel McAdams). Their affair isn't as carefree as his previous one with Marina, because Jane is haunted by the death of her daughter. Neil learns about Marina's struggles and offers to marry her so she can become a US citizen. Returning to the US is no easier this time, and Marina finds herself striking up a friendship with an equally distraught outsider, the priest at a local church, Father Quintana (Javier Bardem). Father Quintana has issues with his local parish, and with the fact that he feels cut off from God. Marina & Neil begin grow apart in their marriage and seek comfort elsewhere, and Father Quintana also looks for any sort of connection to others that he can get by proselytizing to prisoners or spending time with the sexton. Everyone is looking for connection, but no one seems to be able to find it. My summary of the plot is much more straightforward than the film presents it. Granted the film does follow a much more linear storyline than Tree of Life, but with almost no dialogue, the details have to be gleaned & put together by the viewer since almost all of the voiceover is expressionistic. It's also an interesting choice that Marina & Quintana do all of the voiceover work, meaning that it's all in either subtitled French or Spanish, even though the bulk of the film is set in the US. I'm likely making this sound much more confusing than it actually is, it works perfectly fine, but it's a blank enough canvas for you to project your own thoughts onto. And this, I suppose, is my biggest issue with the film after my first viewing. The film doesn't have the emotional immediacy of The Tree of Life. Where that film covered so much of the life cycle that it was easy to cling to whatever details or characters appealed most to you, the circle of characters here seem distant. As REM taught us, everybody hurts, so I suppose there is a lot for viewers to latch onto here, but this film feels so emotionally distant from his previous work that it was hard for me to make my way into the story. I didn't explicitly dislike any of the characters, but we see so little of them and so few sides of them that they feel sadly one-dimensional. It was hard for me to connect with any of them. It's virtually impossible to critique the film's performances since they seem almost secondary to the film's intent. I'm sold on Ben Affleck the director, but as an actor, it's taking me some time to warm back up to him. 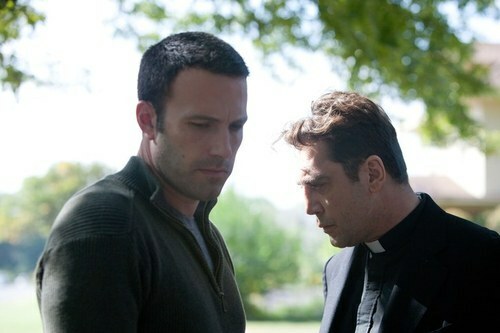 I like Affleck a lot, but he's not terribly expressive as an actor, and for a role like this, that's pretty deadly. 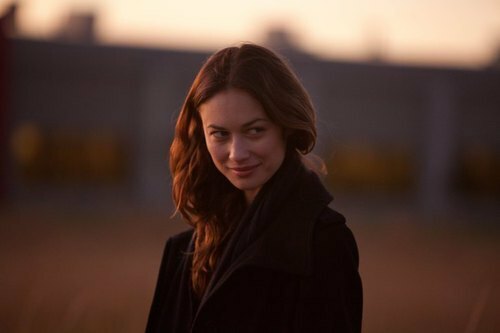 Kurylenko is very good in her role, as is Bardem, but virtually all of their character work is done in voiceover. They have a few moments, such as Bardem's tour of the church with the sexton or Kurylenko's late film "walk of shame" from a motel, that shine, but most of what I liked about their characters was done in voiceover. As anyone who's a fan of Malick will tell you, his films demand repeat viewings, and often play best on the big screen. Since To The Wonder was released simultaneously in theaters and on iTunes, I got to see it for the first time at home, and the distractions of home can be deadly to a Malick film. I'm positive that once I get a chance to see it on the big screen or watch it again on my television instead of my computer, I'll work through a lot of the vagueness of it and be able to see things more clearly. If I had written a review of The Tree of Life immediately after seeing it for the first time, it wouldn't have been as glowing as after the third time I saw it. Even still, there was a ton of lingering imagery and dialogue and character choices that made that film resonate with me even though I didn't immediately love it. With this film, I'm having a really difficult time remembering anything outside of the imagery. I do want to see this film again, but I don't feel the need to see it again right away, which is probably the saddest thing I can say about it right now.